Robyn slipped her textbook between the pillow and the mattress, one hand resting on its hard cover. It wasn’t exactly comfortable and she didn’t really believe what Sarah had told her, but she wasn’t going to take the chance. She needed that B+ and if it had to happen through osmosis, then so be it. Robyn isn’t real and neither is her story, but it represents something that’s happening in our classrooms every day. Students learn best when they have the opportunity to interact with new information in multiple ways. The brain is like a series of circuits that receives signals from the world around us. When a signal is received, it creates a pathway that links new information to old. The more pathways, the more likely the student is to thoroughly process the information. If students are not actively involved in the learning, they are not always making the connections necessary for later recall. The worst part? The brain receives such a massive amount of information every second that it must pick and choose what is most relevant. Facts that do not appear relevant to the brain may not even be saved for the short term, let alone transfer to the next unit of learning. Not to worry; there is alternative to passive learning. (And no, this isn’t where Robyn starts doing curls with her textbook.) There are some small things we can do as teachers to promote active learning in our classrooms. Let’s harness the power of technology to better involve our students in the learning process. Do away with “Round Robin” reading. Instead, take advantage of audiobooks and apps like Audible, where students can listen and read along with audio recordings of thousands of texts. Amazon WhisperCast is a convenient and cost-effective way for teachers to share digital texts with their class. Take a “break” and allow your students to become the teachers. Jigsaw learning is a structure where students collaborate in small groups to learn a new a topic and then teach it to their peers. 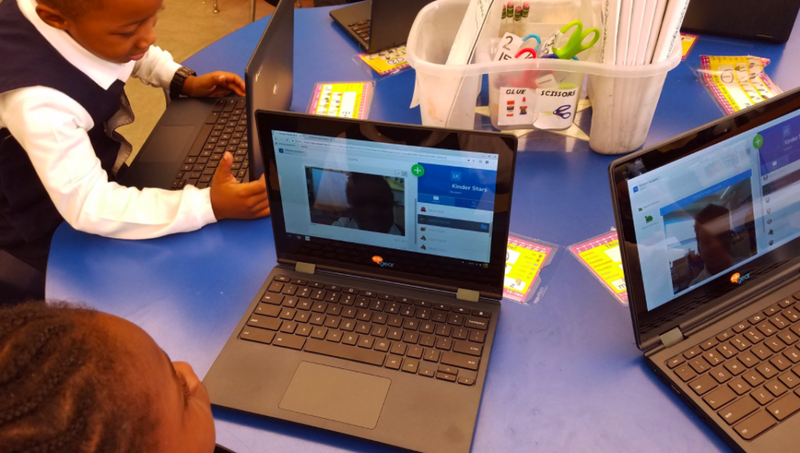 Google Classroom makes it easy for students to access a variety of resources for jigsaw learning within a single platform. It even gives teachers the ability to differentiate at the click of a button. The Comments feature on Google Docs is an easy way to ensure that students are not simply reading the words of a text. As students read from the Doc, have them “stop and jot” their thinking by highlighting portions of the text and commenting. Not only will it promote active reading, but teachers will also get a better idea of what students are gathering from the text. 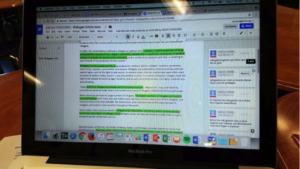 A student uses the comments feature in Google Docs to annotate an assigned reading. Not to say that it’s totally useless, but it’s important to present information in multiple ways. Don’t discredit the innumerable educational videos on YouTube. Anywhere Math, Math Antics, Crash Course, and TED-Ed are a few of my favorite channels. You can even create your own playlist of relevant videos and share them with your students via Google Classroom. Kindergarten students use an online application to record their answers to questions with a computer webcam. Ever notice how you often proofread by reading aloud? Sometimes hearing yourself speak the words allows your brain to better process. Give your students this same experience by using tools like FlipGrid or Seesaw, where they can audio/video record verbal responses. This can be a great way to assess for understanding or promote student reflection.